Who Appointed James Comey and Why Was He Fired By Donald Trump? Home Politicians Who Appointed James Comey and Why Was He Fired By Donald Trump? If you have been following the recent happenings in the US political sphere; then you’d certainly be well-acquainted with James Comey. He was the former FBI Director during President Obama’s administration. The renowned attorney has served in different capacities before assuming the role of FBI Director. Comey garnered worldwide attention following his sudden dismissal by President Trump in 2017. The director was fired during the ongoing investigation regarding the Russia interference in the US Presidential election held in 2016. The attorney was born and raised in Yonkers City of New York to American parents. James Comey first stepped into this world on the 14th day of December 1960. He completed his high school education at the Northern Highlands Regional High School and also attended College of William & Mary before proceeding to obtain his Juris Doctor from the University of Chicago Law School in 1985. At the early stages of his career, Comey served as a clerk for the Manhattan-based US District Judge named John Walker. From there, he went on to serve as an associate attorney for Gibson, Dunn, & Crutcher law firm based in New York. In 1987, James joined the US Attorney’s office where he worked for six years ending in 1993. Following his excellent performances, Comey quickly rose through the ranks. He became an assistant US attorney in 1996 and was placed in charge of the Richmond division. At the same time, he also served as a special counsel to the Senate Whitewater Committee until 2002. During President Bush’s regime, James was appointed a US Attorney for the Southern District of New York in 2002, he served in that position until 2005. While he was there, James presided over many cases. Some of which include Bill Clinton’s pardon of Marc Rich as well as identity fraud cases and other foreign exchange trading scams, among others. Leaving office in 2005, the brilliant attorney was promoted to the level of Deputy Attorney General. He temporarily served as an acting Attorney General while the US Attorney General John Ashcroft was hospitalized, he left upon his return. In 2005, James resigned his position as the Deputy Attorney General and pursued a career in the private sector. He acted as the General Counsel and the Senior Vice President for the technology company called Lockheed Martin Corporation from 2005 to 2010. He equally had a brief stint with a Connecticut-based investment company until 2013. 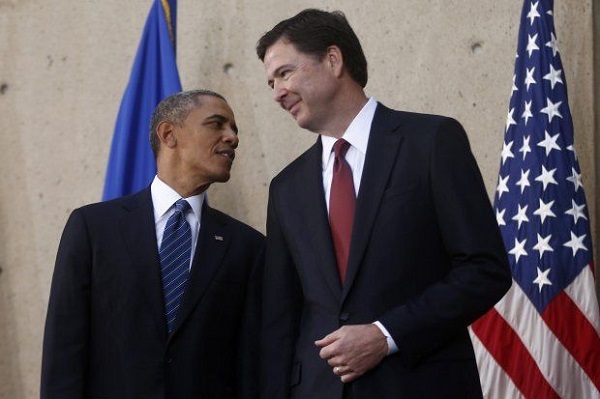 James Comey’s impressive performances over the years brought him to the attention of President Obama in 2013. The then-POTUS picked him as a replacement for the outgoing FBI boss, Robert Mueller. The US Senate confirmed Comey’s appointment in July 2013 and he served in that position for four years before his services were abruptly terminated by President Trump. During his stint as the FBI Director, James handled several high profile cases including the rift between the police and the African-Americans, Poland, and the Holocaust, the office of the Personnel Management hack and Russian’s email controversy. Why Was He Fired By Donald Trump? During the US Presidential Election held in 2016, the office of the Director of National Intelligence alleged that the Russians got into the email servers used by Hillary Clinton and her campaign team. This caused the FBI to start an investigation into Clinton’s use of private email servers when she was the US Secretary of State; as well as Trump’s relationship with his associates in Russia. However, Comey’s actions during the investigation began to raise several eyebrows; this led to his dismissal by Trump. After the former director had refused to testify publicly about the ongoing investigation; he went on to launch a fresh investigation between Trump’s campaign and their links with Russia. After Trump became the President-elect, he sought advice from the US Attorney General Jeffery Sessions and his deputy Rod Rosenstein on 8th May 2017. The following day, he relieved James of his duties as the bureau’s director. With reasons being that the credibility and reputation of the bureau have been damaged under Comey’s leadership. Although, Trump had initially unveiled his intention of retaining James as the director of the bureau; James Comey’s ten-year appointment was abruptly terminated. Notably, he was the second after William Sessions to be fired from that position.